A Reform of the Chart: Summary. I propose the following changes to represent the astrological chart : two systems of coordinates (topocentric altitudes and ecliptical longitudes), topocentric coordinates (for the Moon), a double circle to figure the planets that are really above or below the horizon, a new Medium Coeli that is the zodiacal point of higher altitude, always 90° from the AS, and finally, an easier manner to calculate the eight houses, i.e. oktatopos or octotope, like modus aequalis (eight houses running clockwise, in the natural sense, with Angles in the middle of houses I, III, V and VII), the representation of the real aspects (true angular distances) and of the triangular and rectangular figures. 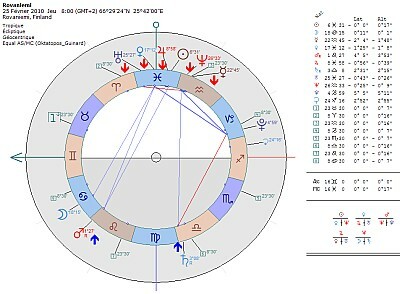 The new chart synthesizes all the elements necessary for interpretation, corresponds better to the apparent heavenly reality than the representations offered by existing programs and softwares, and is mainly a consequence of the quaternary nature of astrology, as I have repeatedly tried to show for over twenty years. 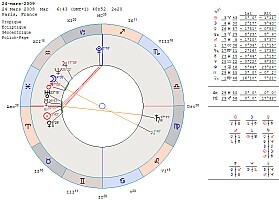 The birth chart, as drawn up by astrologers and their software, in no case represents the state of heaven at a given time, generally a person's time of birth, but the conventional state of heaven, which in most cases distorts what one should expect from a reliable representation of celestial bodies. One does not find in the chart what one 'sees' in the sky, i.e. the visible real positions of planets. The chart does not represent what one could see if the sunlight of day, dawn or dusk did not make them difficult to see. And it is not about stars, constellations or nebulae, but about a small number of celestial bodies represented on the chart, i.e. 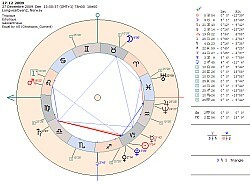 the eleven planets of the solar system, including Ceres (see "Which cyclical operators in astrology? ", CURA, AfD 08). The difficulty in correctly drawing up the state of the close sky is due to several causes, and first to the difficulty in representing a tridimensional sphere on a flat surface taking into account two references : the planetary positions projected on the ecliptic and the planetary positions in houses. The representation of a chart on a flat surface depends on reference conventions and conventions of projection of a sphere on a plane. 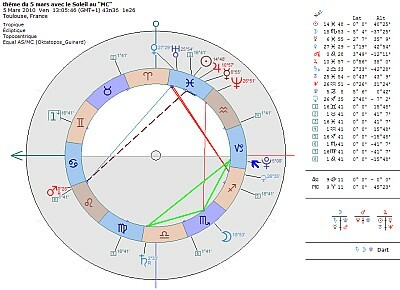 Medieval astrologers used to represent the chart in a circular and quadrangular framework privileging the houses ; modern (namely European) astrologers tend to prefer a circular representation which privileges zodiacal signs. But in both cases the latitudes of celestial bodies are not taken into account. The usually represented latitude is only the orthogonal projection of planetary positions onto the ecliptic. It is not the real planetary position. 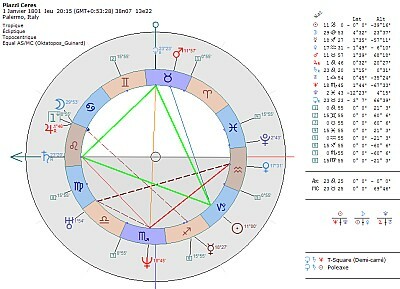 For example on the 24th of March of last year 2009, in Paris at 6:43 (GMT+1), Mercury is shown at 27° in Pisces, at three degrees above the Ascendant, and in the twelfth house. In reality the planet is below the horizon and has not yet risen! 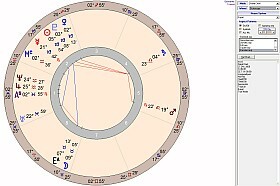 Venus on the contrary is shown at 9°30 of Aries and in the first house, well below the ascendant. In reality it rose more than half an hour earlier, little after Mars and well before Uranus! One will conclude that there is something "fishy" in the traditional representation transmitted by astrologers for centuries. It is not even the system of Houses and the domification that we ought to reform - supposing that astrologers could agree on the nature of 'astrological houses' (see my text about the Dominion and the dubious origin of the twelve-house system which has become classic) --, but the planetary positions on the ecliptic. 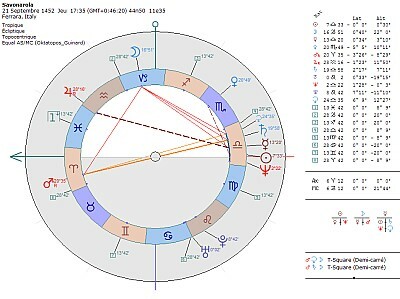 Because even astrologers who as a precaution do not use a house system in the representation of the chart do give on the ecliptic circle a distorted representation of planets which does not correspond to reality but to a conventional astronomical referencing. PICTURES : In the charts drawn up for 24 March 2009 at 6:43 am in Paris, the data of astrological softwares tally (for example ZET in Polich-Page house system and Astrodienst online in Placidus house system), but do not represent the visible real planetary positions : indeed Mercury is under the horizon (thus logically under the ascendant) and Venus is above, as indicated by Stellarium. Figure 4 (Stellarium) shows the rise of Venus half an hour earlier, around 6:11 (with atmosphere). Uranus has not yet risen! Other example : Tomorrow on Easter Monday, April 5 at 2:58:47 in Paris, the Moon rises at 0°28 of Capricorn in the classical chart. Ceres then Pluto are represented under the Ascendant, at 2°56 and 5°25 of Capricorn respectively. In reality the Moon is under the horizon and has not risen yet : Ceres is rising and Pluto is below the horizon, at an altitude of 1°25. One may prefer to the circular chart representation a more simple, orthogonal representation, only taking into account the ecliptic coordinates of planets, to which Angles can be added, and with more difficulty, houses and aspects. To my knowledge no software proposes such a chart, which presents the advantage of not distorting the perception of visible planetary positions (if one adopts the same scale for abscissas and ordinates), but which presents the disadvantage of not being circular. It is an acceptable representation for astrologers who would not use the Houses. One may also prefer equatorial or horizontal coordinates to ecliptic coordinates, and represent the state of the close sky using one or the other of these systems. In the seventh chapter of book IV of his Harmonices Mundi, Kepler declares being born at the rise of the 25th degree of Gemini and at the culmination of the 22nd degree of Aquarius : "oriebatur autem 25 Geminorum, culminabat 22 Aquarii". (Linz, Joannes Plancus, 1619, p.170). This translates into the birth on Thursday 27 Decembre 1571 in Weil-der-Stadt West of Stuttgart, at approximately 14:37, a birthtime commonly admitted. FIGURES : Kepler's orthogonal chart without aspects, then with aspects, and the orthogonal chart on 24 March 2009 at 6:43 highlighting the high latitude of Venus. One commonly talks about zodiacal belt, traditionally fixed at 17°, i.e. at 8°30 on either side of the ecliptic, which adapts to gaps in latitude of the planets of the septenary. In reality Venus can have a latitude of up to 8°50, which would bring the traditional zodiacal belt to approximately 18°. The Moon and Mercury have a maximum planetary latitude of approximately 5° ; Uranus', the planet closest to the ecliptic plane, is smaller than 1° ; Jupiter's and Neptune's are smaller than 2°, and Saturn's smaller than 3°. But Mars can reach 7° South latitude (but only about 4°30 North), and Pluto and Ceres deviate from it even more (more than 17°). Taking into account these two planets requires a widening of the zodiacal belt to approximately 35°. 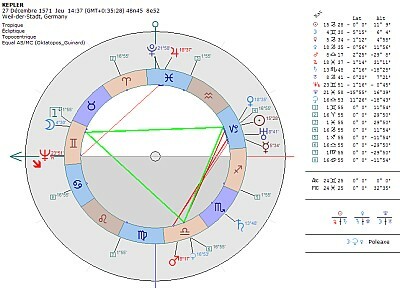 However the planetary positions represented in the chart are not located "in" in zodiacal belt but "on" a circle which eliminates information on latitude. No heavenly body except the Sun is ever really on the ecliptic, except at the intersection points of its plane of revolution with the ecliptic (at the nodes). One could imagine, in order to take the planetary latitudes into account, redefining the ecliptic positions for each planet. These corrections would not apply or be zero for the sun (which by definition has no latitude) and in very rare cases for a planet crossing the ecliptic plane passing at it's ascending or descending node. The position of each planet would no longer be defined by its invariably orthogonal projection onto the ecliptic, but by its ecliptic projection along an axis crossing the meridian, and more precisely the Southern cardinal point (in a northern chart) for a planet above the horizon, and along an axis crossing the Northern cardinal point for a planet below the horizon. For a Southern chart, the cardinal points would be inverted. Thus, in the above-mentioned example, Venus would have to be positioned at approximately 14° in Pisces instead of 9°30 in Aries. Mercury would be at approximately 2°30 in Aries instead of 27° in Pisces. These data vary during the day and planets would only be found on their classical ecliptic position at their crossing with the meridian. This way planets would be retrograde at certain moments in their daily cycle as they used to be at some moments of their annual cycle, which astrologers have been used to for centuries. Classical orthogonal projections (represented in the usual chart) do not take latitudes into account. 'Derived' or 'latitudinal' projections restore an image of the sky more conform to the theoretically visible sky (without atmosphere). Of course, such a referencing is bound to shock many astrologers for whom astronomical perpendicular projections are an article of faith, but may less shock astronomers who observe the sky as it is appears in their lenses. But the ecliptic positioning is only a referencing convention and the solution of 'derived longitudes' would much better agree with the sky as it appears at the moment of observation. Derived longitudes are a kind of planetary adaptation and positioning on the ecliptic viewed with a topocentric referencing. But this referencing presents a big flaw and fails in some extreme cases, for example at Rovaniemi in Finland (a city of 60.000 inhabitants at 66°30N and 25°44E), every day precisely at the moment when the ecliptic sticks to the horizon, in other words when the ecliptic plane and the horizon coincide. This phenomenon occurs for all geographic locations with a latitude of approximately 66°30, i.e. 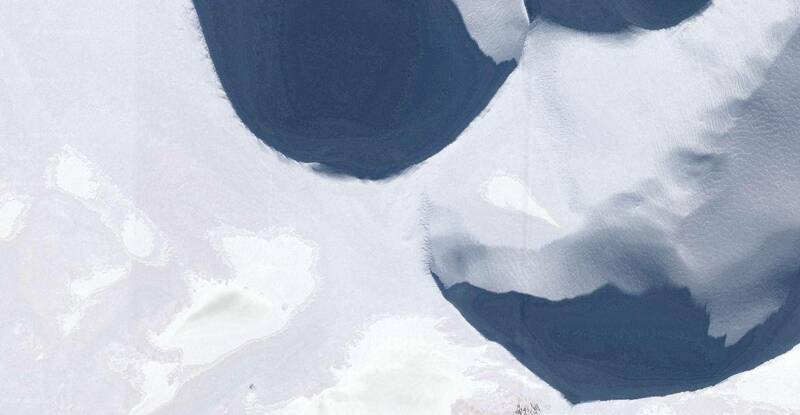 located on the polar arctic and antartic circles. 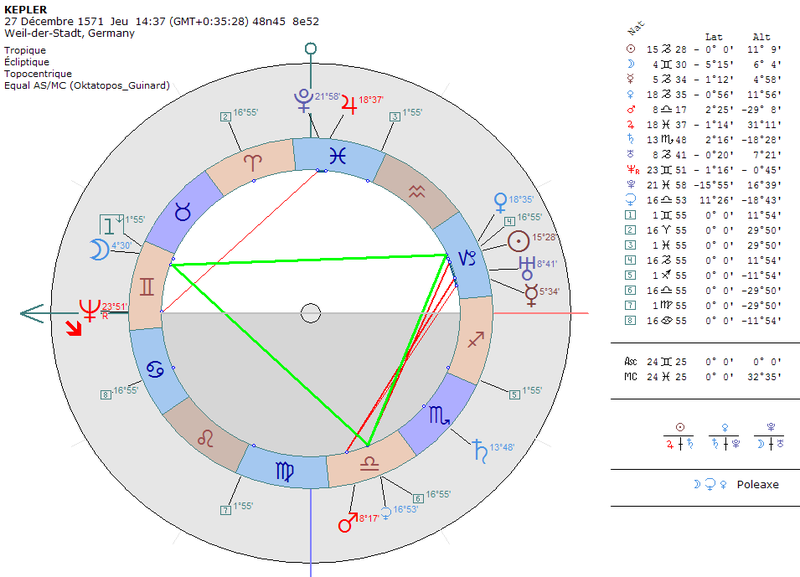 Some French astrologers, taking a leaf out of Dom Neroman's book (1884-1953), proposed doubling the classical chart with a second chart , so-called Domitude chart (Cahiers Conditionalistes 4, 1981, Astralis 43, 1994, L'Astrologue 129, 2000, etc). But these representation attempts, which adapt the Campanus or Placidus systems, lead to a disproportionate division and turn out to be unworkable for extreme latitudes, as classical charts based on the same models. Moreover, one does not really know any more what the use could be of these Domitude degrees supposed to represent the exact house position of a planet, nor which aspects to use (longitude or house aspect), given these two rival charts. The most common practice consists in keeping the aspects that are common to these two charts, to the classical one as well as to the neromanian one. In reality the Domitude chart is only an imitation of the classical one taking as a basis one house system or another, which is already highly questionable. The aspects in houses frame are only projections, as are aspects between ecliptic planetary positions. They are not real visible aspects between planets (angular distances) but an approximation of these distances. 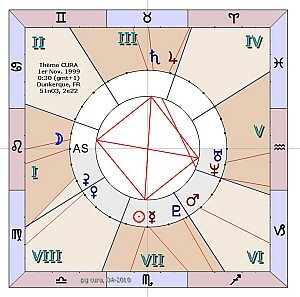 It is possible to construct a Domitude chart for each existing house system. 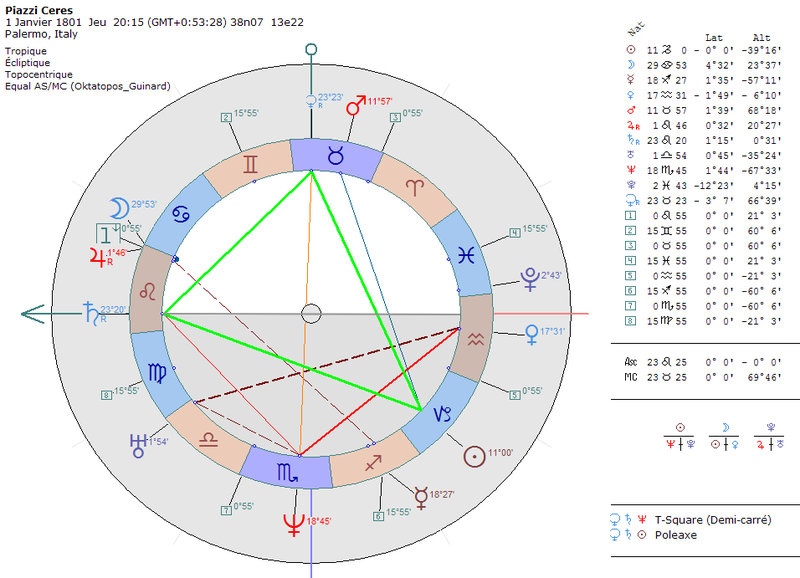 For example in Alfred Adler's chart, supposedly born in Vienna, Austria on February 8, 1870 in Astralis 43 (in reality on February 7 in Rudolfsheim close to Vienna at an unknown time! ), Pluto is at 7° of house XII and Neptune at 6° of house XI (Campanus house system). 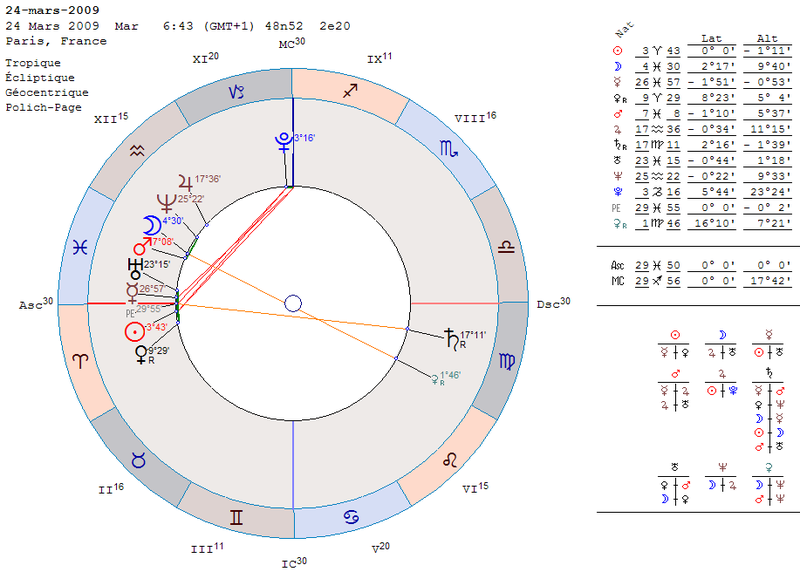 But with the Placidus house system, Pluto is at 28° of house XI and Neptune at 26° of house X! In other words there are as many different 'Domitude charts' as there are house systems. 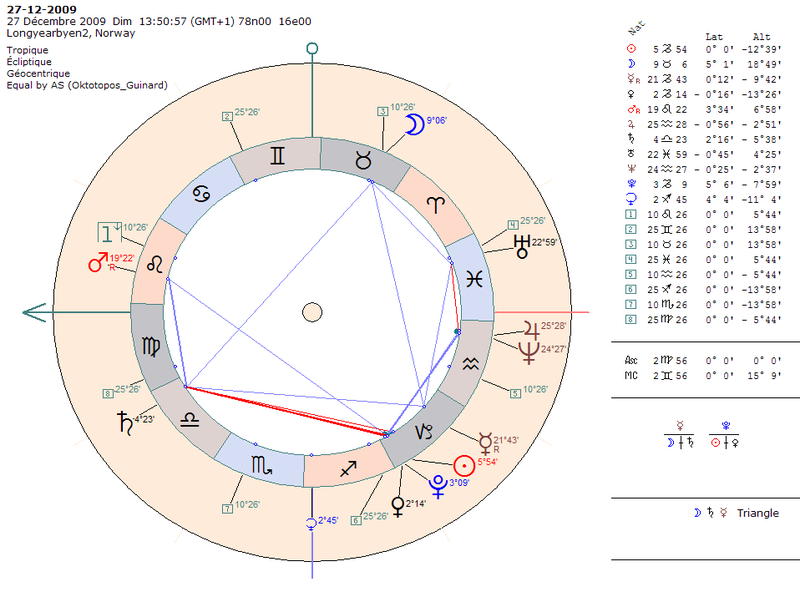 The so-called 'Domitude chart' is a kind of vectorisation of a house system, and presents the same disadvantages and aberrations in extreme situations as the house system on which it is constructed. None of these charts indicates the real positions of planets in the local sphere, but show the positions biased by the used house system. This approach is thus reversing the problem, because the issue of houses (number and limits of the astrological houses) only makes the matter more complex. The 'derived longitudes', as proposed above, could be interpreted as a transposition of house positions on the classical chart. Their advantage compared to the so-called Domitude data is that at least they do not depend on any house system. Another model consists in drawing up the chart starting from the classical longitudes and the topocentric azimuthal positions. The circle parallel to the meridian would define a natural house system, whose eclipitic and house positions coincide in the extreme case of Rovaniemi in Finland on 25 February 2010 at 7:57 for example. In this example, the orthogonal projections on the ecliptic and on the horizon are identical. Let's take Kepler's chart again. 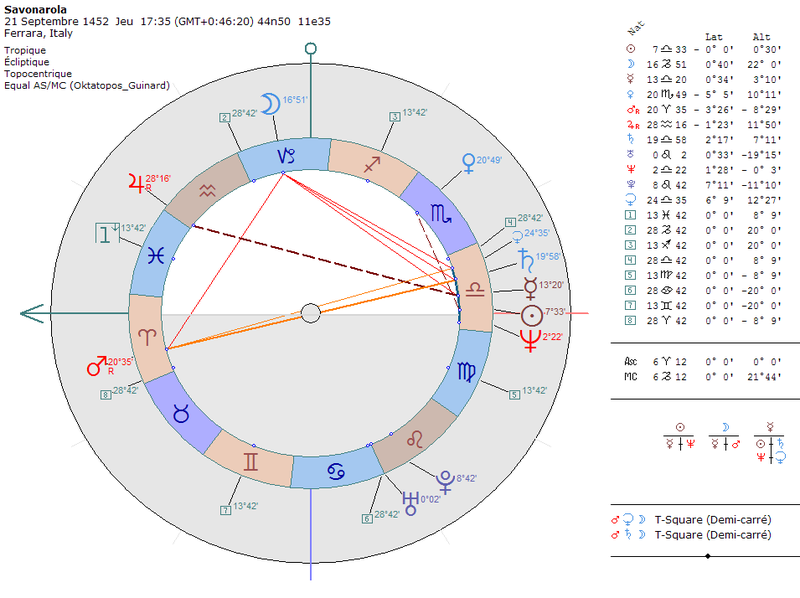 The first chart (left) is a synthesis between the ancient classical chart (quadrangular organisation) and the modern chart (circular zodiac). But the references are inverted : the zodiac belt is outside and the houses are in the middle and divide the zodiac in eight sectors. The inner circle indicates the azimuthal positions of planets. A grey-tinted semicircle indicates the zones below the horizon (under the AS-DS axis). The central double circle shows the planetary positions above or below the horizon. 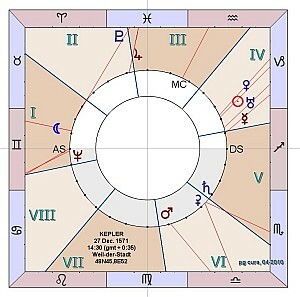 [However, Neptune should be placed between both circles since it has not risen yet]. The planets inside this double circle are under the horizon (Jupiter, Mars, Ceres); the planets outside this double circle are above. The (not shown) planetary longitudes are projected on the zodiac belt and the azimuthal positions are indicated with small red dots on the central circle. The eight houses result from the arithmetic division of azimuthal positions according to the meridian (the center of house III at 22°30 on either side of the meridian, house IV from 22°30 to 67°30, and so on). To this system we add the aspects in the middle and the colouring of the signs of the zodiac according to the planetary colors (see my text "Planets, Colors and Metals, CURA 2000), transferred to the zodiac signs according to the dignities as I explained them in my thesis in 1993 (Moon-Cancer, Sun-Leo, Venus-Virgo, Neptune-Libra, and so on). Finally, at the sign boundaries (for example top from right to left: 48 Capricorn, 22 Aquarius, 351 Pisces, and so on) the azimuthal projections marking the beginning of the tropical signs are indicated. 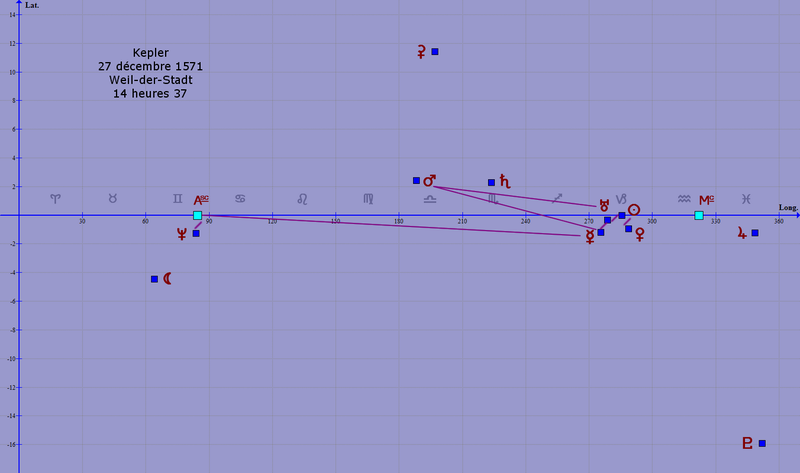 The second chart (right) roughly shows the organisation of the previous one with the indication of longitudes and latitudes. But the correspondence between azimuthal positions, zodiac signs and houses is only approximate (and only follows a geometric canvas which does not have the pretention to reproduce the real positions). 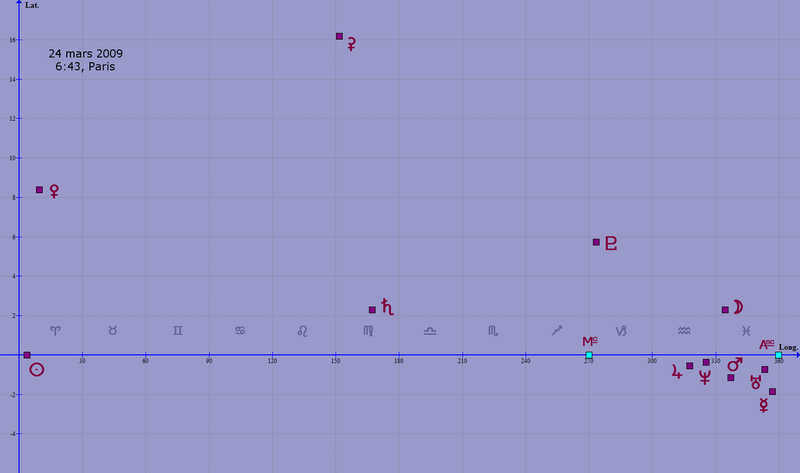 However Neptune is now correctly situated between the two circles, which mark its position below the horizon, but with the Ascendant in house VIII and no longer in house I (which turns out to be problematic). In addition this appealing azimuthal model also fails, this time at the equator, for example in Quito, or better at Calacalí to the North of Quito (0N00, 78E30 -- cf. http://static.panoramio.com/photos/original/19289347.jpg). Indeed, under these latitudes, the ecliptic plane is sometimes perpendicular to the horizon plane, and all planets are located more or less at the same place in orthogonal projection on the horizon. The azimuthal positions only differ with the latitudes of the planets. Even worse : there is only one house left, the house containing the meridian ! 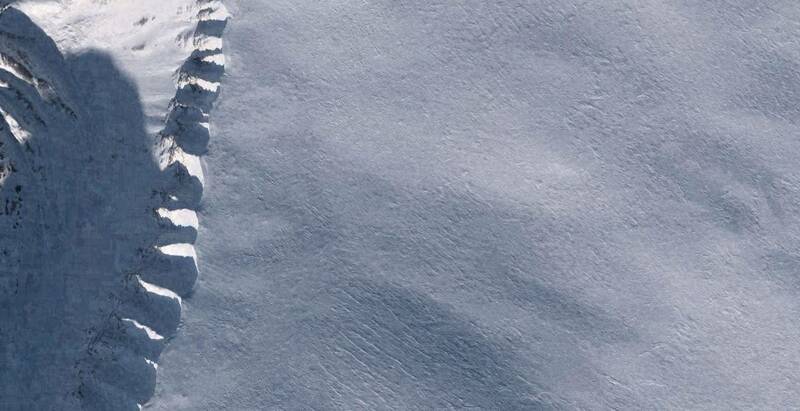 How should one indeed draw up a chart at the latitude of Rovaniemi, or at Longyearbyen in Norway (78N13, 15E39)? There is no solution to the question of correct representation of the astrological chart as long as this technical problem has not been solved. The solution to this age-old technical aporia can only result from the simultaneous solving of the polar and equatorial chart. After examining several systems and in the most diverse astronomical referencing systems, I have come to the conclusion that a satisfying representation of the chart could only be tackled using a double referencing system : the ecliptic longitudes and the topocentric altitudes. The altitude or height of a celestial body depends on the location where the chart is drawn up. It is a kind of function of the geographic latitude. On 21 June, at the summer solstice, the height of the Sun is culminating at 64°35 in Paris; at 35°13 in Longyearbyen and at 66°21 in Quito. On 21 December, at the winter solstice, the Sun culminates at 17°42 in Paris, at 66°47 in Quito, but only at -11°39 in Longyearbyen (the Sun remains under the horizon). In the above-mentioned Finnish case (ecliptic plane and horizon plane coinciding), the altitude of a planet coincides with its astronomical latitude : planets with a positive latitude are above the horizon, planets with a negative latitude are below. In other extreme situations, the ecliptic plane can be perpendicular to the horizon and to the meridian, dividing the celestial sphere into eight equal quadrants. This is the case in Toliara, Madagascar (23N21, 43E40), a place located less than 6' latitude from the Tropic of Capricorn, on 7 June 2001 around 1:04. The MC comes close to the zodiacal point of highest altitude and to the zenith. 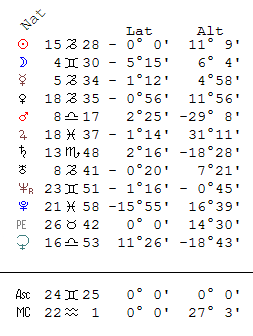 Ten seconds earlier, at 1:03:50, the Ascendant is at 0° of Aries and 0° of Capricorn. The real aspects (also called 3D aspects) are the angular distances measured on the celestial sphere : they are independent of the coordinate system and therefore include the longitudes as well as the latitudes (see "La pseudo conjonction Soleil-Pluton du 24 décembre 2009", AfD 4). The real, absolute aspects, i.e. without orbs, are very rare, due to the latitude of celestial bodies, whichever birth chart is studied. The Babylonia software, version 1.2 (left image), also proposes a scheme with longitudes and altitudes, without houses, which is morer an esthetical representation of the sky than a real chart (left image). In Kepler's theme drawn up with altitudes and longitudes (next image) the red lines link the zodiacal longitude to the topocentric altitude. The planets under the horizon are shown between the two inner circles in a grey-blue zone. The central area is graduated according to the maximum altitude (North) and the minimum altitude (South), which are variable depending on the situation. In Kepler's case, Jupiter has a higher altitude than the classical MC, and Mars a higher altitude than the classical IC. The aspects and synergic configurations need to be added (and the legend needs correcting : 14 :37 instead of 14 :30). In Rovaniemi, in the above-mentioned example, at the moment when the horizon sticks to the zodiac, the altitudes coincide with the latitudes, and it becomes necessary to graduate the inner circles in a discontinuous manner. This model seems acceptable to me, taking into account the assumptions used (ecliptic longitudes, altitudes, division in eights houses according to the model I proposed in 1999, real aspects and synergic configurations). Particular problems arise for charts drawn up on the polar circles, at latitudes of about 66°30 North or South, due to the inclination of the ecliptic plane on the celestial equator, of about 22°30 and slightly variable with time. According to the Serbian meteorologist and mathematician Milutin Milanković (1879-1958), the inclination would vary between 21°30 and 24°30 during a period of 41,000 years, as well as the earth's eccentricity and the precession (see. For example http://www.detectingdesign.com/milankovitch.html). At these latitudes the horizon and ecliptic planes coincide once a day. The Sun is at the horizon, the planets with a positive latitude are located above the horizon and the other planets below. The Ascendant and the Medium Coeli are on the horizon, the Ascendant to the North, and the Medium Coeli to the East. Therefore it is incorrect to state that there is no Ascendant or Medium Coeli at this moment: this is true for a fraction of a second at the most (see Joseph Frederici's articles published in the 70s : Astrological Journal, 16.3, 17.1-3-4, 19.4). This is the case of Rovaniemi, Finland, mentioned earlier. But what happens at Longyearbyen, above the polar circle (78.222,15.642 on Google Maps) ? Situation today, 4 April 2010. At midnight, Saturn, Mars and Mercurius are above the horizon : Saturn close to the meridian to the South, Mars to the Southwest culminates above the ecliptic (latitude + 2°49), Venus and Mercurius seem to go down to the North. 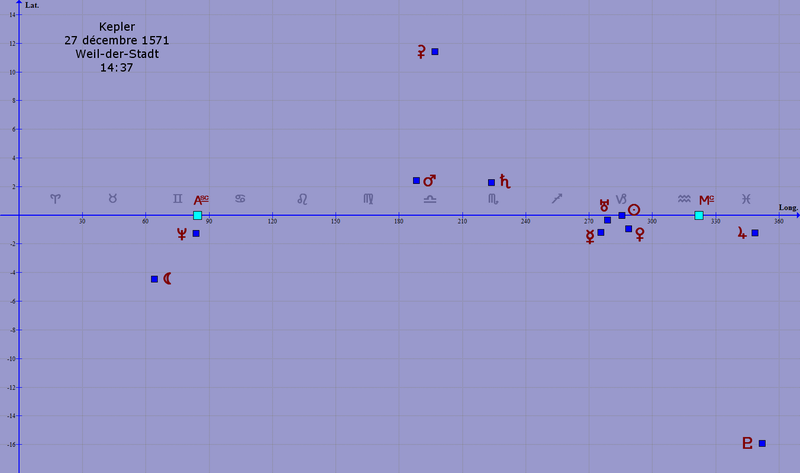 At 0:18 Spica rises at 2° South of the ecliptic. Saturn has just crossed the meridian. At 2:12 Mercurius and Venus cross the meridian to the North, then start rising above the horizon. At 2:56 Spica who has moved close to the horizon, goes down. At 5:19 the Moon crosses the meridian to the South under the horizon : it reaches its lowest culmination, its' 'buried position' at -14°21. Between 6:22 and 6:32 it is Ceres and Pluto's turn to passs the meridian to the South. Around 6:50 Uranus then Jupiter rise to the East at the moment Saturn goes down to the West. At 8:35 Mars crosses the meridian to the North at 10° above the horizon. At 10:09 Neptune, at 0°46 under the horizon, crosses the meridian to the South but does not rise. To the contrary, Regulus, on the horizon to the North, does not go down. 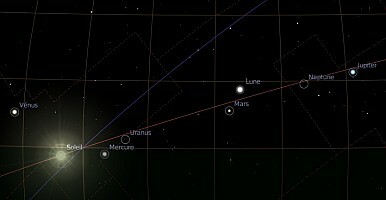 At 17:32 Uranus goes down to the West at the moment when Saturn rises in the opposite direction. 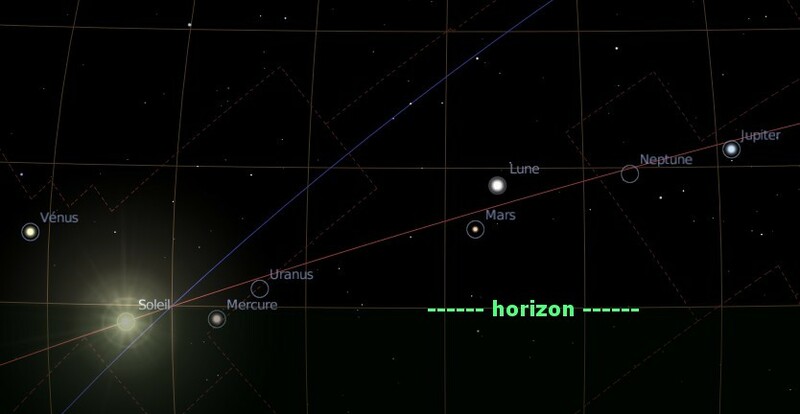 Before 18:00 The Moon crosses the meridian to the North under the horizon, followed by Ceres and Pluto. At 20:34 Mars passes the meridian to the South and culminates at 34° above the horizon. At 20:58 The Sun goes down to the South/Southwest. 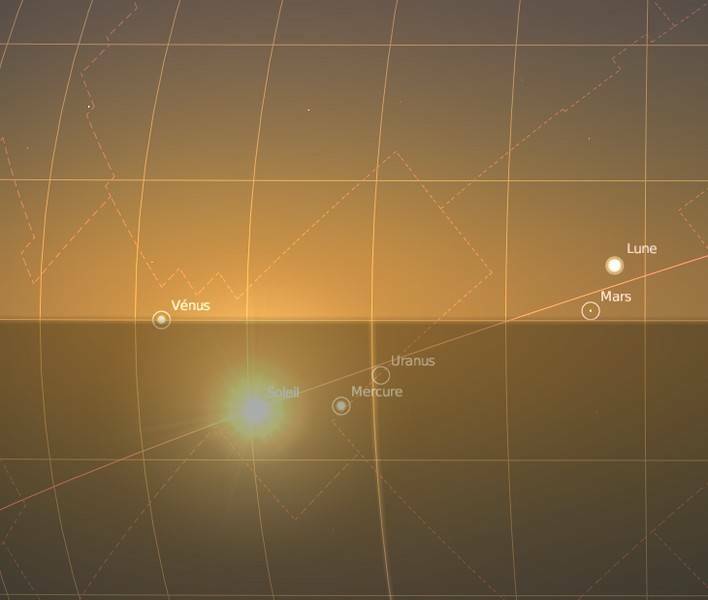 During the whole day Mars, Venus and Mercurius remained above the horizon, rising after passing the meridian to the North and going down after passing to the South. In this example the planets rises to the East but in reality to the Descendant, and the ecliptic culminates to the North and no longer to the South. More generally, if the Ascendant is defined as the point of the ecliptic that rises, it is always located on the eastern part of the horizon. But above the polar circle the MC can be located under the horizon and the zodiac signs can rise in inverted order compared to the usual rising. However, if the Ascendant is redefined as the point of the ecliptic located to the East of the sub-horizontal ecliptic zone (including the MC), then, in these same extreme situations, it can be found in the Western part of the horizon with an MC to the North. This second assumption seems much more satisfying to me than the first one, because the orientation of a chart (oriented to the North or to the South), is only a question of convention. 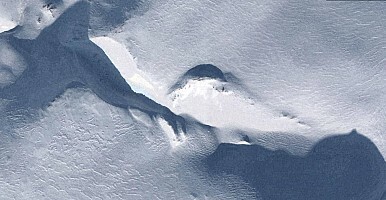 For charts drawn up in the Southern hemisphere, it is commonly admitted that the orientation of the observation point must be inverted (maps oriented to the North). This new definition of the Ascendant is in fact dependent on the definition of the Medium Coeli. How could the so-called Medium Coeli be found under the horizon while its opposite point would be above? This absurd situation depend on the definition of the Angles, and more particularly on the definition of the Medium Coeli. Thus, the Ascendant would not be questioned, as is often stated (for example Frederici), but the Medium Coeli (MC). I suggest considering, for any celestial situation, the portion of the ecliptic situated above the horizon whichever its cardinal position. The Medium Coeli will then no longer be the intersection of the local meridian with the ecliptic plane, but more simply the point of the ecliptic with the highest altitude, i.e. the highest point of the ecliptic measured from the horizon to the zenith. The Ascendant and the Descendant will then be defined as the intersections to the East and to the West of the ecliptic and the horizon. 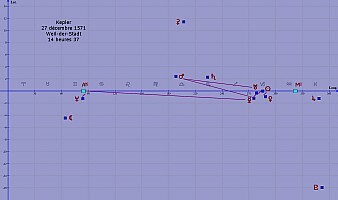 The Ascendant and the new Medium Coeli will always be located at a right angle (90°) to each other, in the real sky as well as in the chart. 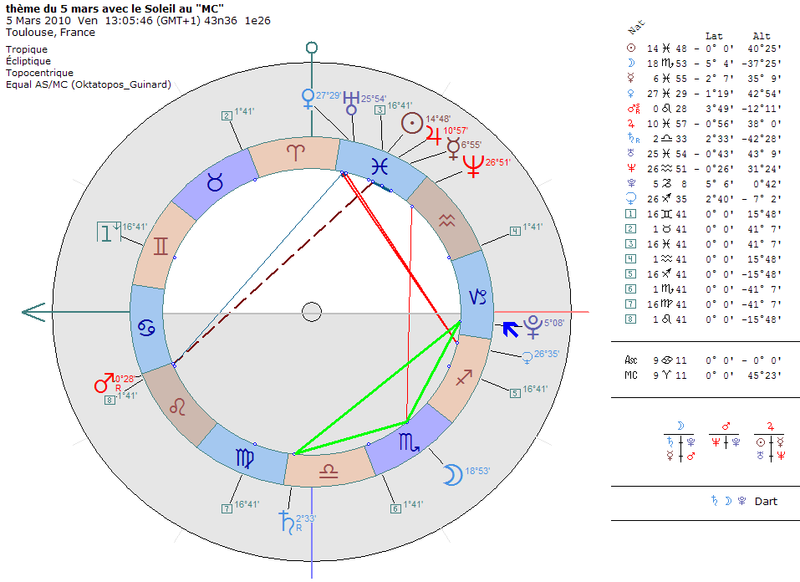 The highest point of the ecliptic in a chart is always the point located at 90° to the Ascendant, on the ecliptic, and not the traditional MC located on the meridian as is often thought. This is the intersection point with the ecliptic, where the planets reach their highest altitude one after the other. A planet on the meridian is at its culmination, it is not at the highest point of the ecliptic, thus not at the culminating point in the chart! On 22 March 2010 shortly after 10:58 in Paris (GMT+1), the Sun 'culminates at the MC' at 35°24', which is indeed the highest point of ecliptic altitude. Neptune however, which just passed the meridian (at 29°31 height) has only an altitude of 28°11, lower than Mercurius, Venus, Jupiter and Uranus. This conception of the MC or ME (Middle of the Ecliptic) solves at the same time the procedure to be used for the house-divisions : because of the orthogonality of the Angles, the astral Houses can naturally be spread into equal parts on the ecliptic without competition between the AS and the MC. In other words the division of Houses in equal portions starting from the Ascendant or from the Medium Coeli are confounded. Definitions : the Medium Coeli (or Middle of the Ecliptic) is the ecliptic point with the highest altitude. The Ascendant is the intersection of the horizon and the ecliptic to the East of the Medium Coeli. These definitions are suitable under all latitudes. The only particular case concerns the skies of the polar circles at the moment when the ecliptic plane 'sticks' to the horizon plane. 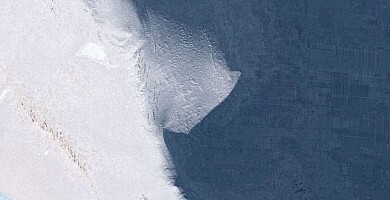 At time T -1, the MC is located somewhere to the West, then a few seconds after the fusion the MC reappears somewhere to the East, for example in the above-mentioned case of Rovaniemi in Finland, on 25 February 2010 between 7:55 and 8:00. This case is not an issue and simply illustrates the special situation occurring once a day under these latitudes. 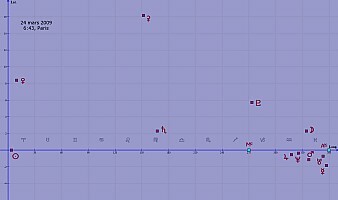 At 8:00, Uranus, Venus, Jupiter, Neptune and Mercurius are all close to the MC to the East but under the horizon due to their negative latitudes. Saturn and Mars to the opposite have a positive latitude : they appear above the horizon. 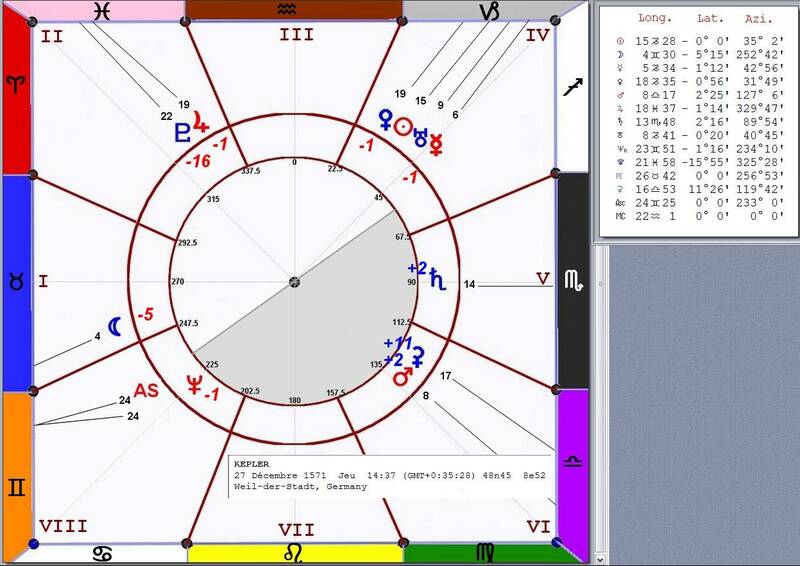 Therefore it is useful to add to the charts being drawn up a double circular belt indicating the presence of a planet under or above the horizon. As this double circle is not programmed in the software, one should add arrows indicating the planet's real position compared to the horizon. 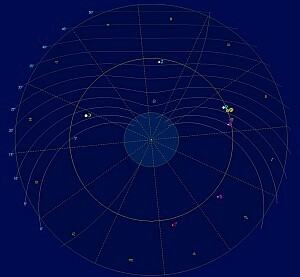 In the following illustrated example, the geocentric positions have been calculated and the local Moon (topocentric position) is indeed under the horizon, at about -1° altitude (and not at +0°01 as indicated in the data). In a recent series of articles published in a London magazine between 2001 and 2005, Michael Wackford manages surfing with verve between different systems but unfortunately he does not come up with any solution, leading his readers to think that there is none and that all methods fail. In addition, this astrologer bewares of seriously examining systems that directly divide the ecliptic. But the technique and the discourse do not make the music. The author, which ignores my article (as usual in this British magazine), the article of the Irish Cyril Fagan, and more generally the division in eight sectors, carefully avoids asking the essential questions, being the origins of the astral houses, their number, their rotation direction, the question of planetary latitudes, and even the question of the definition of the MC. Ralph W. Holden presents in his 1977 work (The elements of house division, Fowler, Romford, UK) fifteen house systems divided in three categories : systems that divide the ecliptic (Equal houses by the ASC or Modis Aequalis, Porphyrus, Natural graduation, Equal houses by the MC), those that spatially divide the celestial sphere (Campanus, Regiomontanus, Morinus, axial rotation, Zenith Method, Division at the East point), and those based on a time division of the planets' daily arcs (Alcabitius, Placidus, Koch, Topocentric). Holden does not evoque the question of the eight houses, but in 1977 only six years had passed from the publication by Cyril Fagan of his work Astrological Origins, in which he only half-heartedly defends the domification in eight sectors (see the discussion of the Oktotopos on the German Astrowiki (no article is treating of his subject in the English Astrowiki, and there is no French Astrowiki) and Wojciech Jozwiak's article Newly Conceived Houses, reissued on Cura). The temporal house divisions by trisection of the daily arcs, although impracticable or absurd from 66° latitude, have the preference of astrologers. The requirement of the temporality of the houses - which etymologically result from a sectorisation of space (they are domus, loci or topoi) - is not justified, all the more so because due to the eccentricity of the earth's orbit, the solar zodiac itself does not obey this temporal logic (the summer lasts almost 94 days, the winter only 89). Holden discusses Frederici (p.120), mentions the interception and latitude problems (p.107-117) that particularly affect the systems of the last two categories (spatial house systems and temporal house systems), and concludes (p.129) the superiority of the systems that divide the ecliptic, which are not subject to the above-mentioned difficulties. And namely the Modus Aequalis, the oldest theme house system, gets his preference. It would seem that the later systems, more and more sophisticated until the recent system of the Polish Bogdan Krusinski, merely make the references more complex and are not able to solve the problems caused by the house division under all latitudes. In the end it appears that all these systems result from useless mathematical refinements that only blur reality. I have presented the system of the eight astral Houses inspired from an Oktatopos of questionable Greek origin, in the Astralis magazine since 1987, then in my PhD thesis (1993) and in the article 'The 8 Houses', published on CURA in 1999. The house system proposed in 1999 recommends using a median point located between the Ascendant and the East point, which a priori allows dividing the theme in houses even at extreme latitudes. 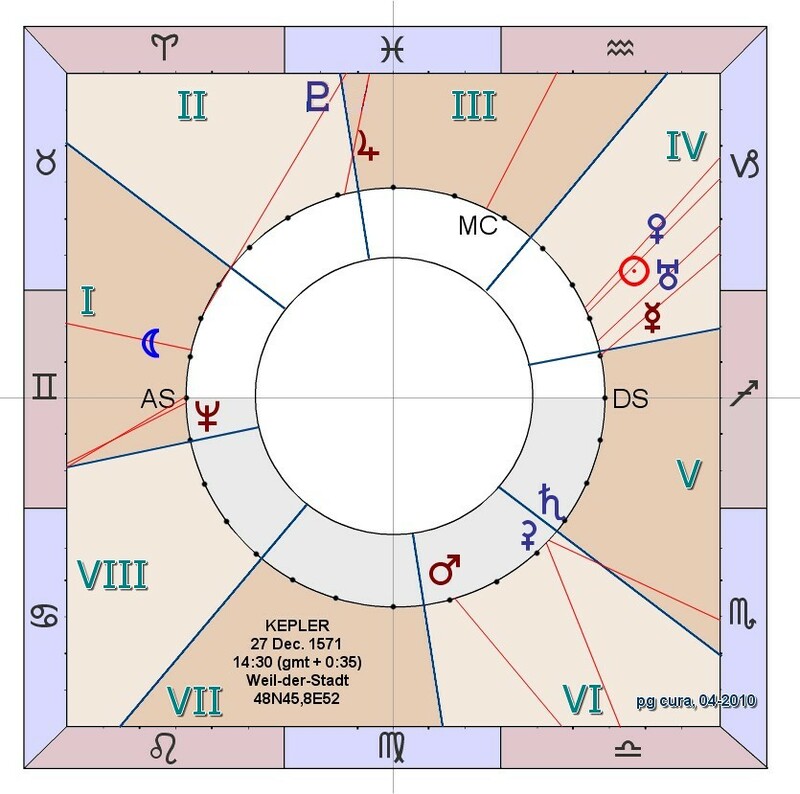 Assuming the Ascendant is situated to the East between the MC and the IC, which are the intersections of the local meridian with the ecliptic plane, the even houses II, IV, VI and VIII have an ecliptic span which varies between 28° and 62° even in extreme cases. The MC is always located in House III. On the other hand the Ascendant can derive and be situated in house II or in house VIII. Henceforth I hereby refute this calculation of the eight ontological houses, which I presented as temporary and have always considered such. The above analyses show that calculating a median intermediate point is useless and that the equal houses allow a natural and simple house division, based on a new definition of the Medium Coeli, applicable under all latitudes. The eight houses follow each other clockwise and the Angles AS, MC, DS, and IC are situated in the centre of houses I, III, V and VI in the eight-fold construction. The Houses result from a division of the local sphere in compartments, taking into account at the same time the geocentric position of the planets, their topocentric situation, and in a dependent space also their zodiacal situation. One has always wanted to link the Angles to the House system according to the dogma which stipulates that the Ascendant must represent the cusp of house I. This conception is wrong. Nothing obliges the Angles to be located at the beginning of the Houses (cusps) rather than in their middle, not even should a given angle be correlated with such house, even though there is a temporal and structural logic in the succession of the eight houses, developed in my text in 1999. The Mesopotamian astrologers-astronomers were the first ones to observe that the planets located at these angles, and thus at these moments of their daily cycle, had a particular force. In these times the Houses did not exist; they are probably a late Greek invention, which was passed down to us in a deformed way in the first texts mentioning them. Some software programs propose a division in eight sectors, but the Angles are badly defined with dysfunctioning as a result. 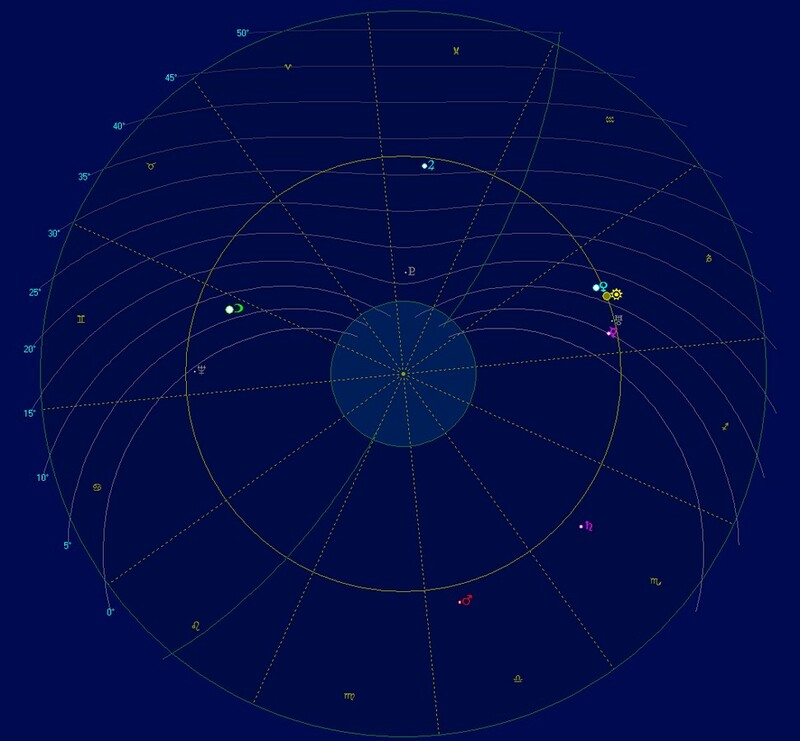 As an example, the New Zealand software Janus gives inverted positions above and below the horizon : in a theme calculated for a location close to Longyearbyen, on 27 December 2009 at 13:51, Mars, the Moon and Uranus, the only planets above the horizon are shown to be below! (To be compared with ZET and Stellarium which present a theme or a chart more conform with reality). The division in eight equal house sectors presents important practical, technical and theoretical advantages. Practically, a well-conceived software (such as the Russian ZET software) allows dividing a theme with 8 astral houses by setting up some parameters. It is probably the only one. The orthogonality of Angles solves the question of the Paranatellonta, these celestial bodies, stars or groups of stars which rise, culminate or set at the same time. This way the aporia concerning the duality between Planets in Aspect and Paranatellonta, evoqued by Robert Hand in his Essays on Astrology (p.98-101) is resolved, since the passing of the planets on the horizon, on their culmination (the new MC) and the buried position are situated in conjunction, opposition or square if the planetary latitudes are small. In other words the 'Parans' which are angular links involving the Paranatellonta, merely become exceptional cases of classical aspects. Another consequence concerns the division in four, which is the ontological basis of astrology, and which henceforth irrigates the selection of aspects. Indeed the conjunction, the opposition, the square, the semi-square (or octile) and the sesquiquadrate or tri-octile (135°), even the semi-octile (22°30), become major aspects illustrating this quaternary logic (division of the circle in 2, 4, 8, and 16). One finds again a common practice influenced by the German Alfred Witte who recommended drawing up the theme on a circle of 90° (Dial). But the graduation by equal sectors from an Ascendant fictitiously situated at the beginning of Libra is replaced by an equivalent division but in eight instead of twelve, and from the real Ascendant. The result is that the new theme, necessarily composite due to the representation in two dimensions instead of three, brings together four referencing systems : the apparent planetary positions above the horizon (measured by altitude, but not yet possible to be shown in existing software), the orthogonal projections of planetary positions on the ecliptic (Zodiac), angular distances between planets (characterizing at the same time the aspects between two planets and the figures between different planets) and the equal definition of the eight astral houses from orthogonal angles. 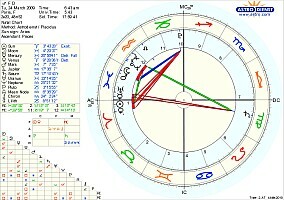 It summarises all the elements necessary for the interpretation, better corresponds to the apparent celestial reality than using current software and programs, and above all is a consequence of the quaternary nature of astrology, as I haven't ceased trying to show for more than twenty years. 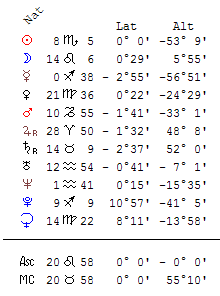 A few illustrated themes are shown below (without altitudes and without the double planetary circle). The Sun at the meridian (but with a lower altitude than Uranus and Venus) is in conjunction with Jupiter and at one and a half square with Mars. 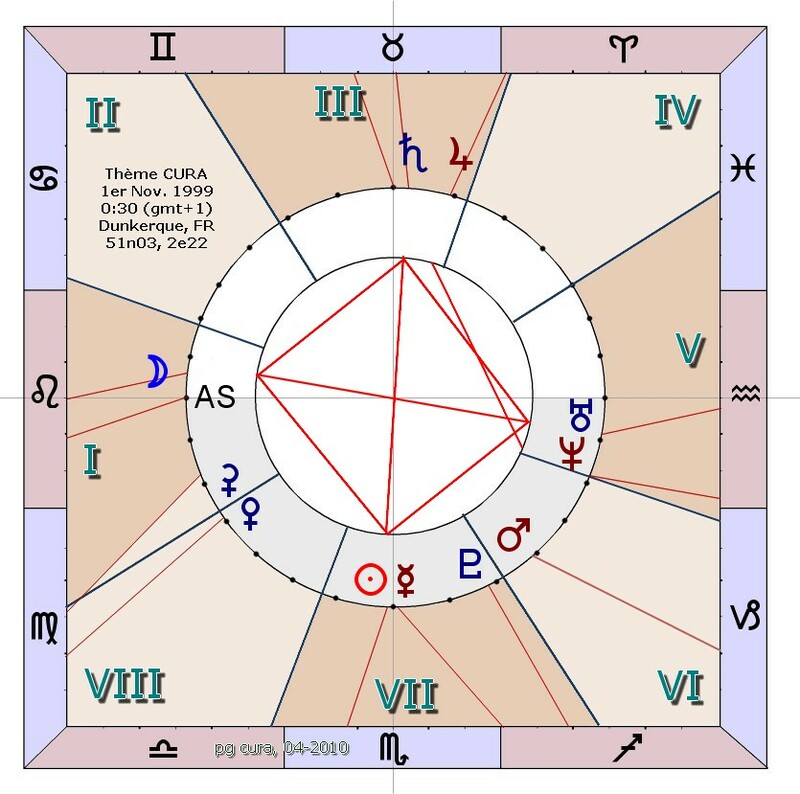 Uranus is in conjunction to Venus in House III, in triangle with Mars at the beginning of Leo and square with Ceres. Pluto sets, slightly above the horizon. Neptune rises, slightly below the horizon. 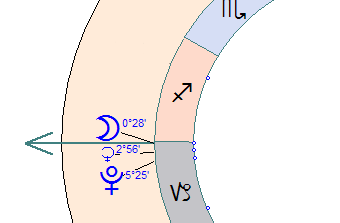 The Moon keeps Ceres and the conjunction Venus-Sun in synergy. 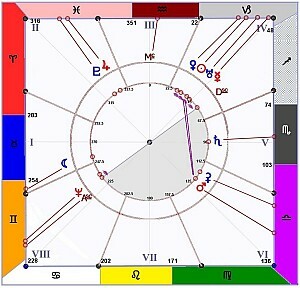 Saturn is isolated in house VI (Knowledge). Kepler could have been borne in reality one hour erlier, with the Moon at the Ascendant and the cluster Sun-Venus-Mars-Uranus in House IV (Harmony). It occurred the first day of the 19th Century, around 20:00 in Sicily (cf. Piazzi, Risultati delle Osservazioni della Nuova Stella scoperta il dì 1. Gennajo all'Osservatorio reale di Palermo, Palermo, Nella Reale Stamperia, 1801 ; G. Foderà Serio, A. Manara and P. Sicoli, "Giuseppe Piazzi and the Discovery of Ceres" in Asteroids III, ed. William F. Bottke et al., University of Arizona Press, Tucson, 2002, http://www.lpi.usra.edu/books/AsteroidsIII/pdf/3027.pdf). Remarkable configuration for a discovery whose importance was minimized. Ceres (the real planet of astrology) at the MC is also square with Saturn (the scientific planet) at the ASC, kept in dynamic harmony in a solar isosceles triangle (Poleaxe). The Florentine preacher Girolamo Savonarola was probably borne on 21 September 1452 in Ferrara [44N51, 11E38] at sunset, "ho. 5 mi. 44 à meridie" (according to Cardan, CG p.490). same time with Garcaeus (p.192). Indeed on this date the sun culminated around 11:50-11:51. Savonarole was probably borne at 17:35. Mars in I (Communication) is in opposition with a cluster of planets in IV (the Couple) including Ceres, Saturn, the Sun, Neptune and Mercury. The theme of a visionary militant. The Moon is at the center of this configuration. For an interpretation of this elective theme, see The Electional Chart of CURA.